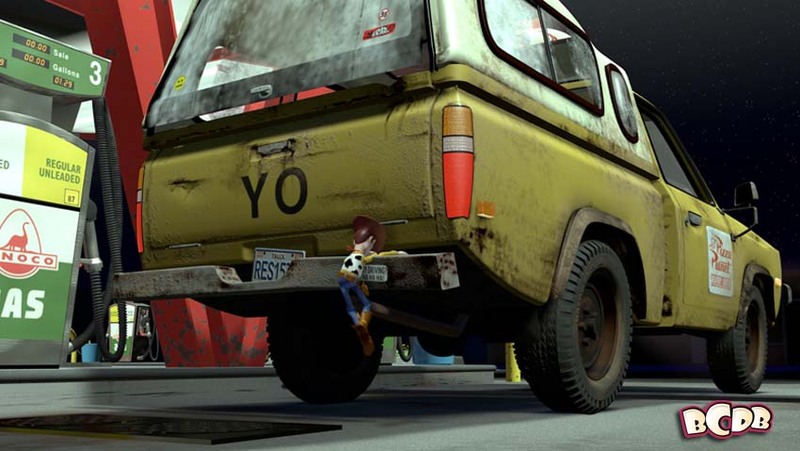 For Pixar, it all started with Toy Story. No one was quite sure how it would be taken, but it became their breakthrough film. 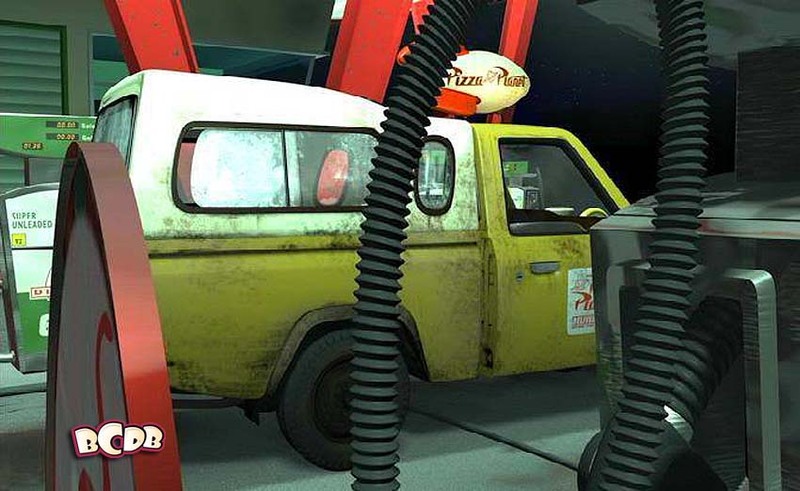 The first animated film nominated for an Academy Award for best original screenplay, and ended up making $195 million in domestic box office receipts on it’s first release. 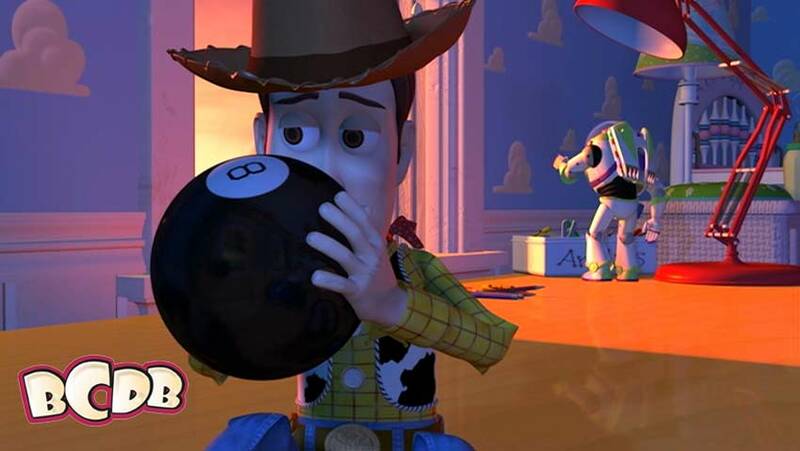 Being the first, Pixar was obviously more concerned about making a great film than sneaking in a lot of trivia and Easter eggs. And with no track record of films, they did not have the body of works to pull from. Lassiters’ sense of humor shows through anyway, and there are still a few inside jokes to be found. 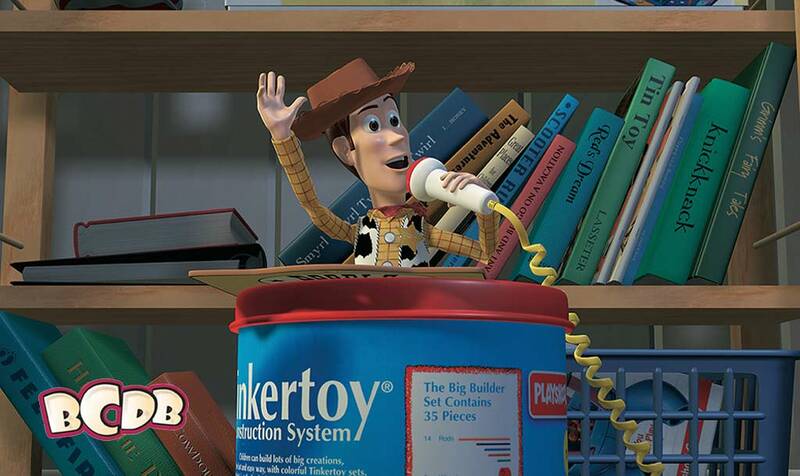 We’ll start with Pixar’s first film Toy Story. 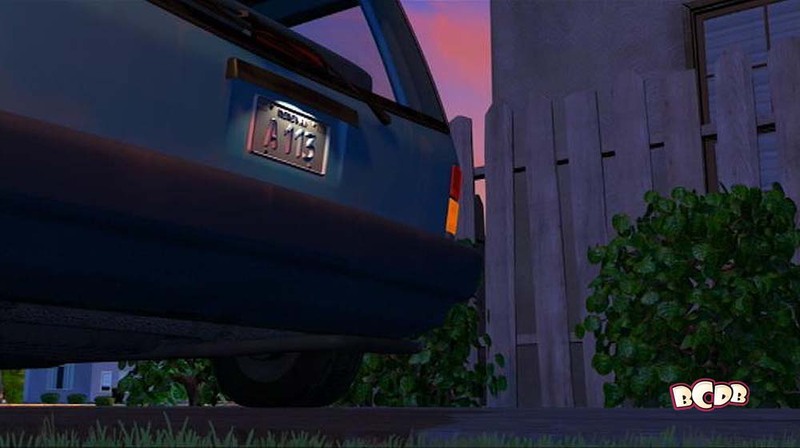 Here we have our first shot of Mom’s license plate. You guessed it- A 113! 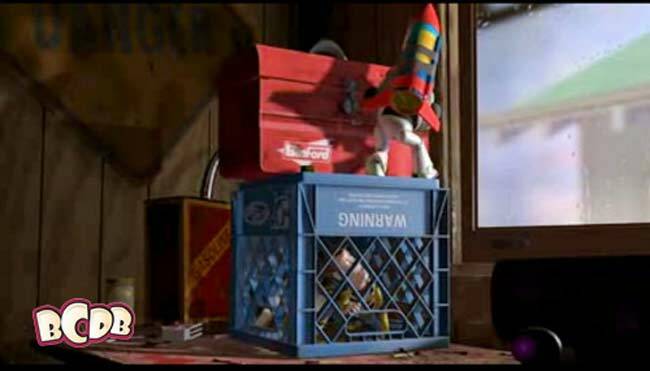 The books on Andy’s bookshelf are titled after many of the previous Pixar shorts like Tin Toy, Knick Knack and Red’s Dream. Note that the Tin Toybook is written by “Lassiter”. 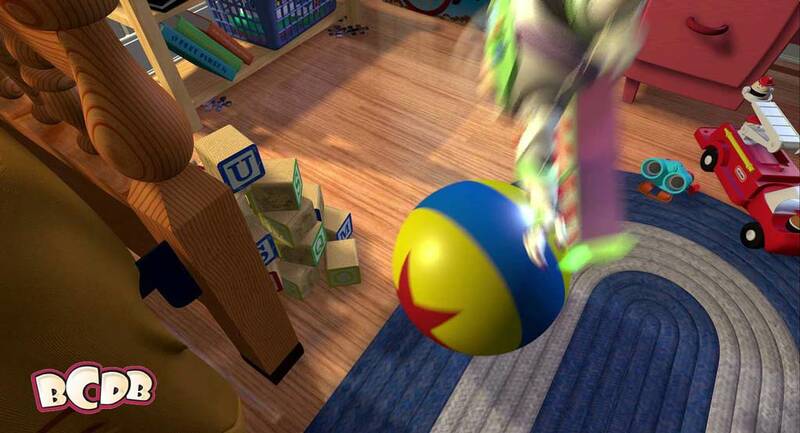 The desk lamp (in red) and the ball Buzz bounces off of when he “flies” are both from the first Pixar short, Luxo Jr.
A Hidden Mickey in Toy Story? Yes!!!!!! There is a Mickey Mouse watch on Andy’s wall. This being Pixar’s first film, John Ratzenberger did not have the history of bit parts in every film… yet. This was the first, and this was the character he has now done three times…. Hamm the piggy bank.